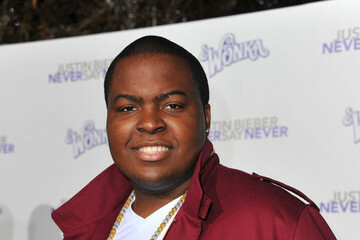 Sean Kingston is "awake and alert" after his jet-ski accident on Sunday (29.05.11). The 'Beautiful Girls' hitmaker suffered a broken jaw, fractured wrist and water in his lungs when he crashed into the Palm Island Bridge in Miami, Florida and while close friends and family have been keeping a vigil at his bedside in the Jackson Memorial Hospital he is said to be "getting better every day". A source told gossip website TMZ: "Sean is awake and alert in his hospital bed, and he's getting better every day." Although he is breathing through a tube in his mouth which is preventing him from speaking, Sean is "communicating through nods and sign language". Witnesses revealed Sean's lifejacket fell off during the collision, which caused him to sink under the water. Rescuers Carmen Rivera, Jonathan Rivera and Jimmy Vega - who were in a boat approaching Palm Island Bridge -described how they found Sean in a bad way. Carmen explained: "People were calling us over, telling us, 'He's drowning, he's drowning.'" Jonathan added: "I pushed him up, and he was vomiting what seemed like water, and then there was some blood coming out." Jimmy said the singer had a neck injury and was "extremely dazed and in danger of drowning". Cassandra Sanchez was also riding on the jet-ski with Sean when they crashed, according to an accident report from the Florida Fish and Wildlife Conservation Commission.